As philanthropy grows around the world, maximizing this impact becomes not only a shared vision for the sector, but also an imperative -- highlighting the importance of giving smartly and of continuously searching for approaches that deliver the best outcomes. Consistent and reliable data helps donors to establish strategies on what, where, and how much to invest. Organizations working on similar issues, locally or across borders, can share important insights into what works, and so better coordinate efforts towards maximizing impact in the pursuit of specific goals. Most importantly, philanthropy's ultimate beneficiaries will gain the most from improved data. 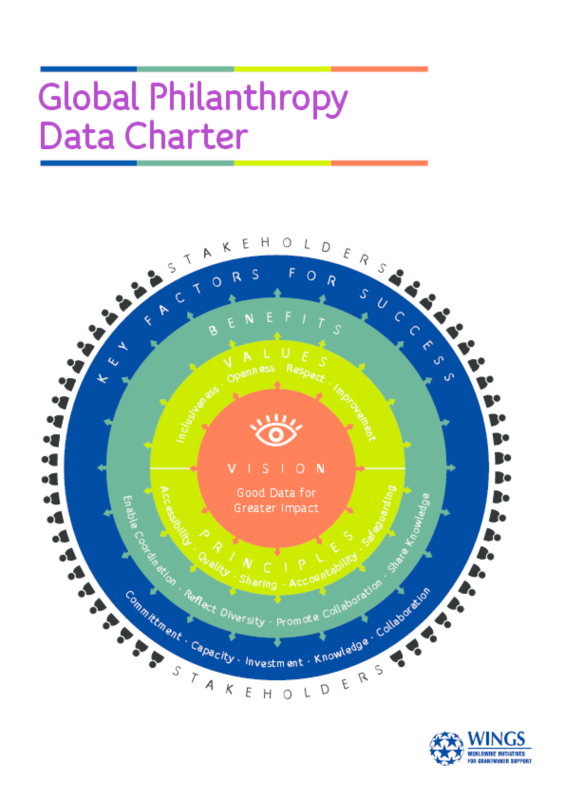 To realize this vision of improved data for deeper philanthropic impact, WINGS and a team of experts from around the world propose the adoption of a Global Philanthropy Data Charter. The Charter is intended to act as a framework to guide organizations in the sector as they set out to improve philanthropy data, while acknowledging the diversity of context, culture, and legal framework within which these organizations operate. It proposes both a code of good practice to improve the working relationship of those involved in philanthropy data -- data users, providers and collectors -- and also a framework for engaging other sectors (governments, corporations, academia, and civil society in general) in the sharing and use of philanthropy data for public benefit.